Writer Marcia Raffel Levin has been visiting, enjoying, and writing about the Caribbean for years. It’s a fantastic place, she tells us, with gin-clear, brilliant-turquoise water and enough cultures and price-points to satisfy almost any traveler. She shares some of her favorite Caribbean islands. The Caribbean, a part of the world variously described by travel writers as having “gin clear, brilliant turquoise or amazing sapphire blue waters,” and “white sand or powdered sugar beaches” is far more than the hyperbole it may sound. First and foremost, the Caribbean is a roughly 2,000 square-mile area spanning some of the most beautiful beaches – and hotels and resorts – in the world. Average year-round temperatures range between the 70s and the 90s. It’s an ideal vacation destination for travelers from around the globe. And even without the purple prose, those clear waters and beautiful beaches are evident throughout the region. Most airlines fly into the major islands. And a large number of international cruise lines sail into many of the islands, as well. Short commuter flights from big islands to hundreds of smaller islands make travel in the area quite easy. The islands were colonized by Brits, French, Dutch, and Spanish after Christopher Columbus, that early frequent traveler, discovered the region in the late 15th century. Columbus first landed at what is now San Salvador in the Bahamas. From there he put Spain’s stamp on many islands before the influx of other Europeans. I Long Bay on San Salvador island, there is a underwater monument attesting to the spot where Columbus dropped anchor. Today these islands are popular with boating enthusiasts, cruise lines and vacationers from all over the world who seek sun and fun, or those who want to shop ‘til they drop. Furthermore, its beaches, luscious golf courses, great food and more continue to make the Caribbean one of the world’s most idyllic getaways. Actually, for American fans of cruising, the Caribbean is often the first area outside the US they explore. I will never forget my first trip to the Bahamas – although in the Atlantic, not the Caribbean – and loving it and learning a different culture. I have spent many years since then contributing to Caribbean and cruising guidebooks and researching colonial history and island customs. Here then, are some of my favorites, many the playgrounds and getaways for the world’s rich and famous. Anguilla is one of the prettiest islands in the region. A British overseas territory, the island is home to a couple of top-rated, world-famous hotels, the Malliouhana and Cap Juluca, while dozens more offer a similar degree of high-octane hospitality. The island’s beaches are the main attraction, and you’ll find fine dining options across the island. Anguilla attracts the glitterati from across the globe. Although there is an international airport on the island, many travelers land in St Martin and take the ferry across. Antigua (that’s “tee” with a hard “g”) is high on the list of popular sun getaways among Brits. The island has a long maritime history. Although most Antiguans are of African heritage, there are obviously strong British touches. Today Antigua is recognized by the islands’ 365 beaches – one for each day of the year. The two islands gained independence from Britain in 1981. The most famous hotels on the island are Curtain Bluff, Jumby Bay, and the time-honored St. James Club. But both Antigua and Barbuda offer hotels and resorts at all price points. Nelson’s Dockyard in English Harbour on Antigua is one of the most important sites on the island. Named after Lord Horatio Nelson, it was used as a base during Caribbean wars with Spain, France, and the Netherlands. Rebuilt as a shopping and restaurant area, it is the only Georgian Dockyard in the world. Clarence House was built in the Dockyard in 1786. The late British Prime Minister Winston Churchill napped in one of the bedrooms while several Royals have also visited. And for cricket buffs, Antigua is home to world-class cricket player Sir Viv Richards. It’s a Dutch-flavored island just under 20 miles long and 6 miles wide. But Aruba packs a mighty punch with many cultural attractions as well as fine hotels, shopping venues, and casino gambling. It boasts some beautiful beaches, and, somewhat unique in the Caribbean, mountains. On the other hand, although tourism is the biggest game on the island, there is a history of a gold trade in the early1800s. Remnants of the earliest settlers — the Arawak Indians – can be found in cave writings at Arikok National Park. Oil also has a place of prominence on the island stemming from the early 20th century, where the main street – now home to some magnificent resorts and hotels – is LG Smith Blvd., named for one of the oil company’s early managers. 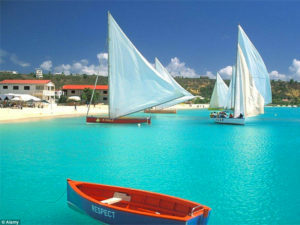 Aruba is also a favorite port on Caribbean sailings and “bon bini,” meaning “welcome,” is heartfelt across the island. 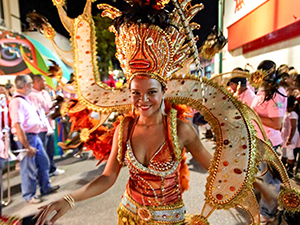 Papiamento, the language Arubans often use among themselves, is a mélange of African, French, Portuguese, Spanish, Dutch and English. It is also spoken on the Dutch islands of Bonaire and Curacao as well as the Dutch side of St. Martin. Ironically, although technically not in the Caribbean, but in the Atlantic, the Bahamas traditionally show up on the dance cards of most Caribbean cruise lines. Although some 700 islands make up the chain, only about 30 are inhabited. One of the most popular is New Providence, home to Nassau, the nation’s capital. The island is a two-part destination: Nassau and Paradise Island. 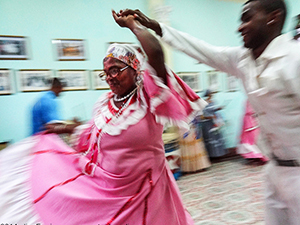 Like many Caribbean islands settled by Europeans, it’s a country steeped in history. On the Nassau side, you’ll find the 1780 Pompey House, which documents some of the African experience in the region. Not far away is the British Colonial, an iconic oceanfront hotel built on the site when the notorious pirate Blackbeard lived. Fort Fincastle and Fort Montagu are also worth a visit, as is the Queen’s Staircase. The latter features the iconic 66 stone stairs, carved by slaves for Queen Victoria, commemorating each year of her reign. Paradise Island’s outstanding Atlantis Resort offers varied hotel accommodations, a Vegas-style casino, and many eateries. The beach is excellent. Originally known as Hog Island, it was a getaway for the international jet set long before jets were a reality. Yet when the Portuguese, the early settlers, arrived in the 1600s and saw lush tropical trees. They thought resembled bearded men and then named the island for the Portuguese word for bearded men: Barbados. Not really a “pretty” word. This island offers something for every budget and interest. 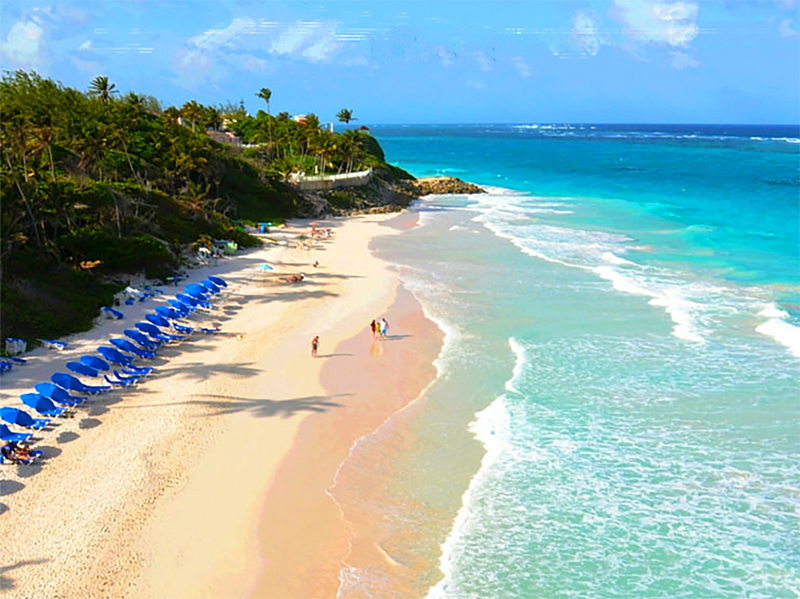 Barbados’ west coast is where you find the high-profile traveler and most posh hotels including the iconic Sandy Lane. The rocky north coast features nature at its most dramatic with impressive seas. Surfers head to the east coast, and the south coast is where competitively priced hotels are found. The Barbados Hilton celebrates its 100th birthday this year, and the lovely oceanfront hotel offers an attractive example of island architecture. Don’t miss Nidhe Israel Synagogue, one of the oldest in the Western Hemisphere. Founded by Portuguese settlers in 1654 after escaping Brazilian persecution, it’s now a museum. 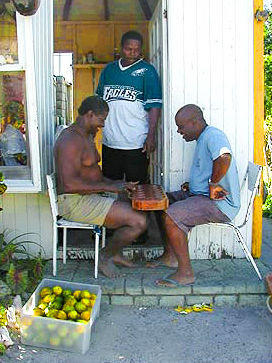 Bajan restaurants feature many fine fish dishes, and the island is also home to the Mount Gay rum distillery, and numerous rum shops dot the island. This British overseas territory is made up of four main islands: Tortola, Jost Van Dyke, Virgin Gorda and Anegada. All are popular with tourists from the UK and the US. Tortola is the capital and the largest of the BVI. Boating is king here and many boats from the U.S. and the other islands drop anchor throughout these beautiful waters. 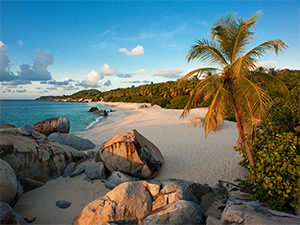 The Baths on Virgin Gorda – a collection of large, ancient boulders with odd grottos – have become a key Caribbean attraction. The island’s exclusive Bitter End Yacht Club has attracted well-heeled tourists for generations. Those without their own yachts can ferry in from Tortola’s Road Town or other nearby islands. Less than 300 people live on Jost Van Dyke; Anegada is the only volcanic island in the BVI. The natural beauty of these islands is incredible. 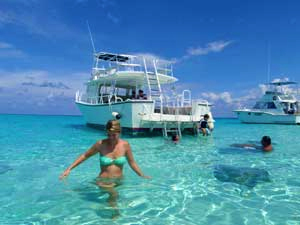 A British Overseas Territory, the Caymans are well known for its diving and deep-sea fishing, and off-shore banking. It’s made up of three islands: Grand Cayman, Cayman Brac, and Little Cayman. Beach Resorts on Grand Cayman are lovely, and there are many from which to choose. 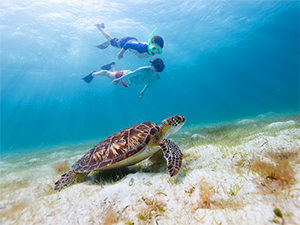 Cayman Brac is ideal for deep-sea fishing and Little Cayman ideal for nature lovers and photography. Cuba has been much in the news the past several months as the U.S. began taking steps to normalize relations. 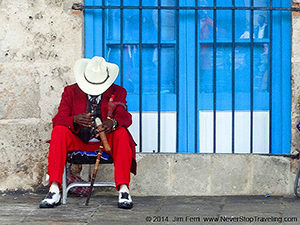 Havana, the capital, is a solitary target for many travelers since travel about the island can be difficult due to the aging tourism and transportation infrastructure. Spend a few days in Havana visiting the old haunts of Hemingway and riding in 1950-era American cars. But also, if possible, wander further afield. Santiago de Cuba, the capital of Cuba’s southeastern province (called “The Oriente” by Cubans), is a beautiful place to visit, as is Baracoa on the eastern end of the island. Both are interesting places where you’ll find welcoming people. Just be prepared not always to find the luxury accommodations that exist elsewhere in the Caribbean. This Dutch island is a personal favorite. The Queen Emma floating bridge in Willemstad, the capital, is probably one of the most photographed bridges in the world. And the island’s pastel homes and lovely beaches attract tourists from Europe and the States. The capital has been named a UNESCO World Heritage Site. Scuba divers love Blue Bay on the western side of the island where they can access a vertical coral wall. There is an Indonesian touch to the island, and you’ll find outstanding Indonesian food – as you do in the Netherlands – in many eateries. Hotels and resorts at many price points dot the island. Don’t miss three impressive forts: Waterfort, Fort Amsterdam and Fort Beekenburg dating back to the 17th and 18th centuries. The Dominican Republic makes up two-thirds of the island of Hispanola it shares with Haiti. The DR is big with the honeymoon set and is a hot destination these days. It is also home to many all-inclusive resorts, making the island a good value for wonderful beaches. It’s also a new Caribbean destination for many who have grown tired of the same old same old. Cruise ships began calling at Samana a year or so ago and now Punta Cana, at the eastern type of the island, is becoming a major DR destination. The capital, Santo Domingo, is one of the oldest cities in the region. 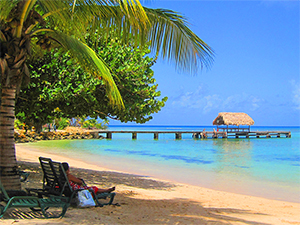 Jamaica has long been a favorite Caribbean destination. 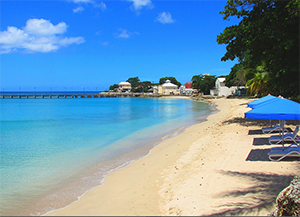 Negril, Ocho Rios, and Montego Bay are the major tourist towns, all with fine hotels and restaurants and terrific beaches. Kingston, the capital, is home to art galleries and museums. 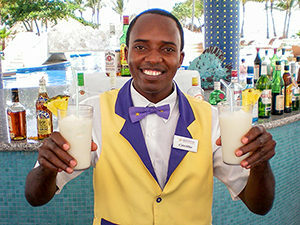 The all-inclusive concept has its roots on the island, and many, many resorts live by the all-inclusive concept. Sandals got its toehold here. Red Stripe is the iconic local beer and no trip up to Dunn’s River Falls is complete without a cold bottle when the trek is over. The Falls are definitely a must-see. Add to that to-do list Rose Hall and a rafting trip and you have a good idea of this popular island. And, of course, reggae music, mon. Jamaica is the heartland. The United States took over the beautiful island after the Spanish-American war in 1891. With mountains, waterfalls, beaches and rich forests, the island has become a tourist destination. Agriculture has played an important role as well: sugar (and rum, its by-product), coffee and some tobacco. Impressive resorts and hotels, as well as golf courses, dot the island. 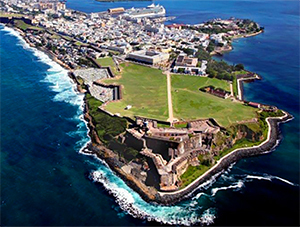 San Juan is the heart and capital of the island, and Old San Juan is a historical jewel. The city is filled with remnants from the 16th century and tiny streets with interesting shops. Spanish is the official language, but English is widely spoken. Don’t miss the San Felipe del Morro Fortress with its thick walls and cannons facing the Atlantic Ocean. Or the Casa Blanca dating back to the 1520s. They are but two of the historic sites in Old San Juan. This two-in-one island – half French, the other Dutch – is not-quite 40-square-miles in size. But it’s a beautiful mix of beaches, fine cuisine and myriad shopping venues on both sides. It is the smallest land mass to house two nations – and has done so for more than 300 years. 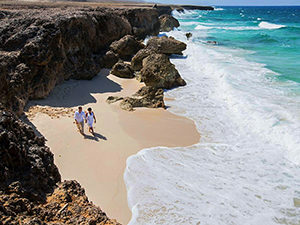 French St. Martin is home to the famed Orient Beach a long-time option for nudists, some outstanding hotels, and restaurants with award-winning chefs. Its capital is Marigot. Phillipsburg is the Dutch capital, (and they spell it St. Maarten,) with gambling casinos, sprawling resorts, and a lot of shopping options. 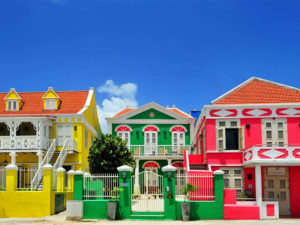 The Dutch architecture or “gingerbread” houses in pastel shades offer excellent photo ops. Home of the steel pan band, Trinidad and Tobago sit way down in the Caribbean near Venezuela. The two islands are impacted by Creole roots and a multi-national population with a healthy economy. The Asa Wright Nature Center on Trinidad is amazing. Imagine dozens, and dozens of wildlife, flowers and plants, hummingbirds and waterfalls, serene pools and a gorgeous view wherever one looks, and the Center becomes a slice of heaven and tranquility. These islands, dubbed TCI, are located southeast of the Bahamas and like the Bahamas are technically in the Atlantic Ocean. 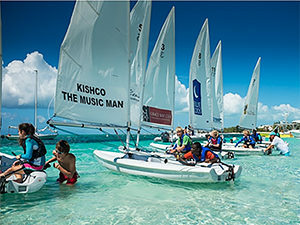 Only about 30,000 people live in the TCI, and tourism brings about 200,000 visitors annually. The island of Providenciales boasts one of the prettiest beaches in the region. It is home to The Grace Bay Club on world-renowned Grace Bay Beach. 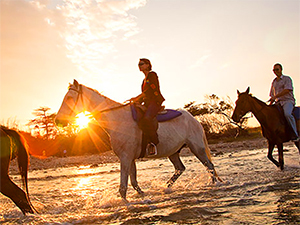 The beaches in these islands are uncrowded and attractive to fans of all water sports. Grand Turk is the capital of the islands. 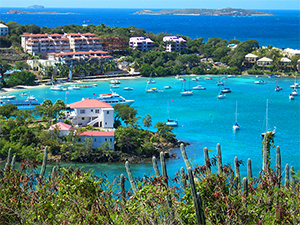 The USVI is comprised of three major islands: St. Thomas, St. Croix and St. John, unincorporated territories of the U.S.
Boating is big on these islands, and exquisite beaches and pure natural beauty abound around every bend in the road or cove in the sea. Most of the land on St. John makes up the Virgin Islands National Park and includes coral reefs. Charlotte Amalie on St. Thomas is the capital of the USVI. It has a long history as a Caribbean shopping mecca, and you’ll often see tourists loaded with shopping bags heading to the beach at Magen’s Bay. See the stone seat where Sir Francis Drake viewed the islands high in the hills above the beach. St. Croix with its Danish history includes the interesting Christiansted National Historic Site where local history is on display. 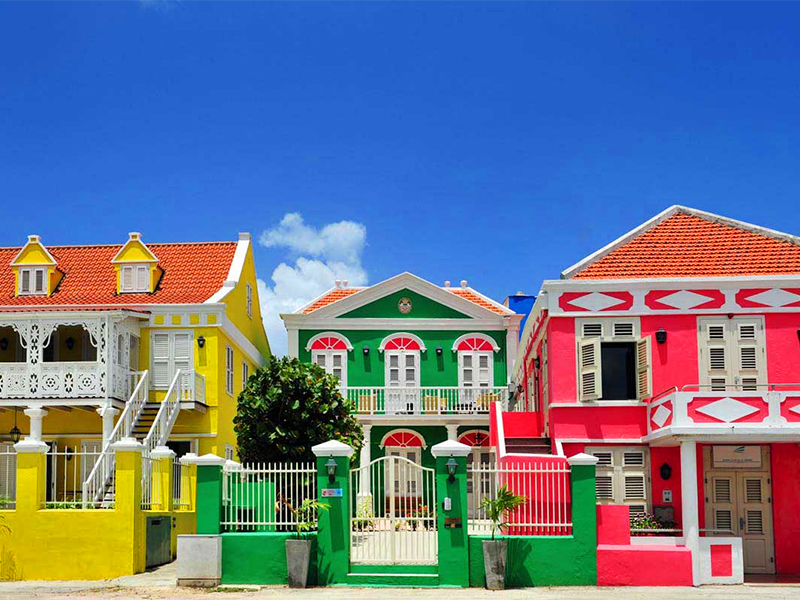 Imagine a mix of Danish architecture on a Caribbean island – wonderful! St. Thomas offers full-service beachfront hotels including the Ritz Carlton, Marriott Frenchman’s Reef, Emerald Beach Resort or Bunker Hill Hotel among many.